The construction is not as good as old Punch Punch. The taste is there. draw is ok, but burn is not very good, maybe store for a bit and it will get better. but for a very hard on the market cigar, it worth the price. 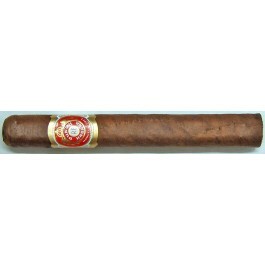 A good, mild to medium smoke and a GREAT entry-level Cuban cigar! Has that great Punch classic taste. Had a few that were a little tightly rolled near the cap, but only a few in the box were like that. The rest, great draw, lots of smoke in every puff, even burn, great taste. Would definitely buy again! Unappreciated....never my go to smoke, but when I do smoke one, I think ......why aren't I smoking more of these. Salty on the lips, cocoa on the palate. I need to quit taking this stick for granted.